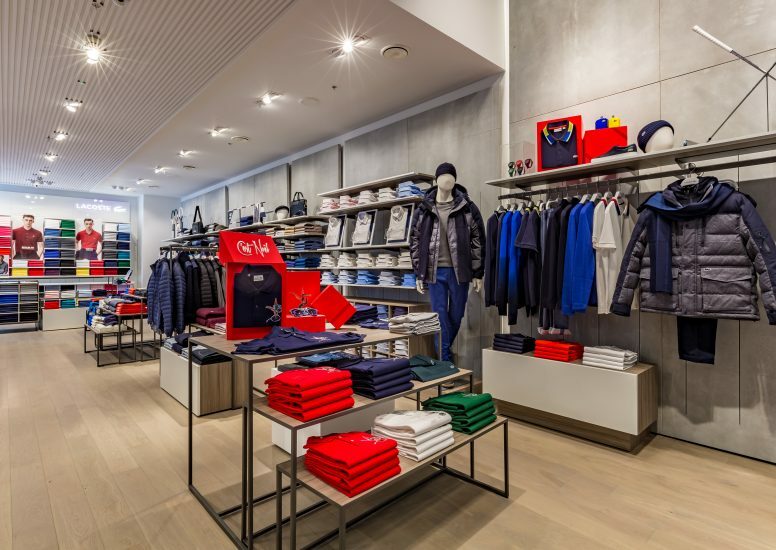 D4R have recently implemented a new store design in Lacoste Stratford. The interior is filled with brand new fixtures, lighting, flooring and walls. 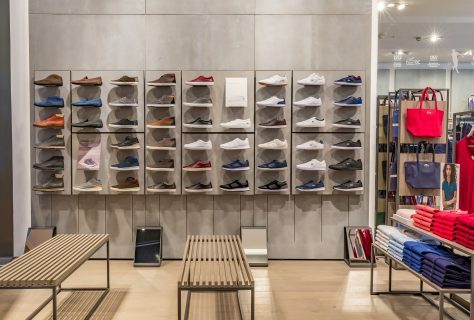 A key part of the project was to increase the selling space in-store, achieved by relocating the fitting rooms to the back of the store. 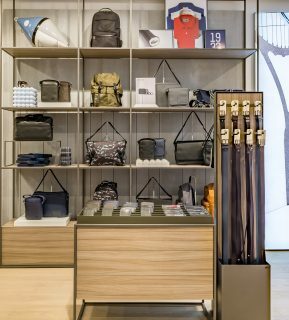 Another design element that was implemented in-store was a new slatted wooden croc logo, immediately visible upon entering the store. 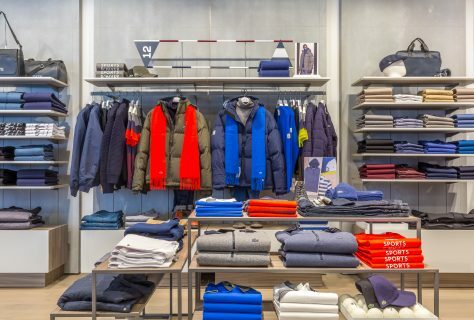 Entering the store, customers can experience the Lacoste brand identity on the new door design. 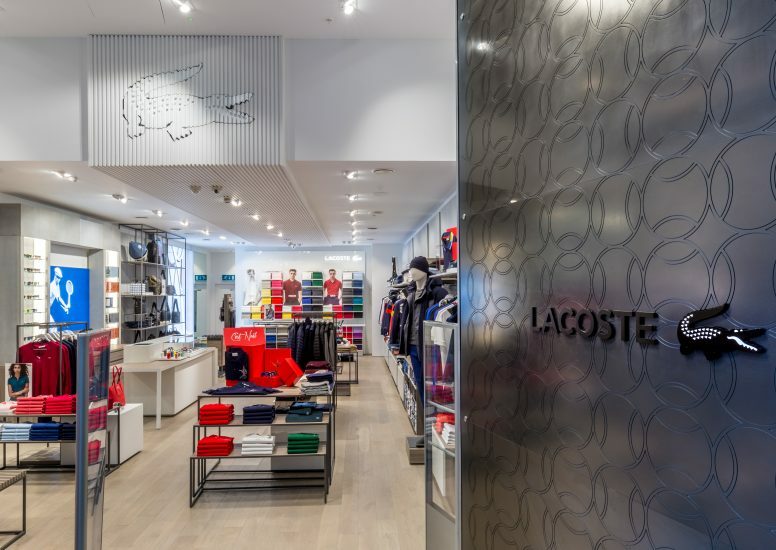 A tennis ball design has been etched into the black corian door with the signature Lacoste croc taking centre stage. 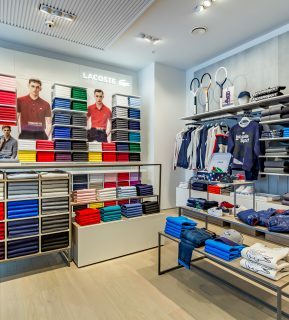 Overall the new Lacoste Stratford store is on trend for 2017, with grey concrete cladding, stand out graphics and bold statements such as the etched door.